Hit-Girl creator Mark Millar has officially revealed some new details about Hit-Girl: The Golden Rage of Hollywood, including the story arc’s first cover. Written by Kevin Smith and illustrated by Pernille Ørum (DC Super Hero Girls), The Golden Rage of Hollywood will be the fourth four-part story arc published as a part of Image Comics’ current ongoing Hit-Girl series. Following Mindy McCready’s exploits in Columbia (Issues #1-4), Canada (Issues #5-8) and Rome (Issues #9-12), Issue #13 will see her descend upon Los Angeles in order to wage a timely and characteristically violent war on Hollywood predators. 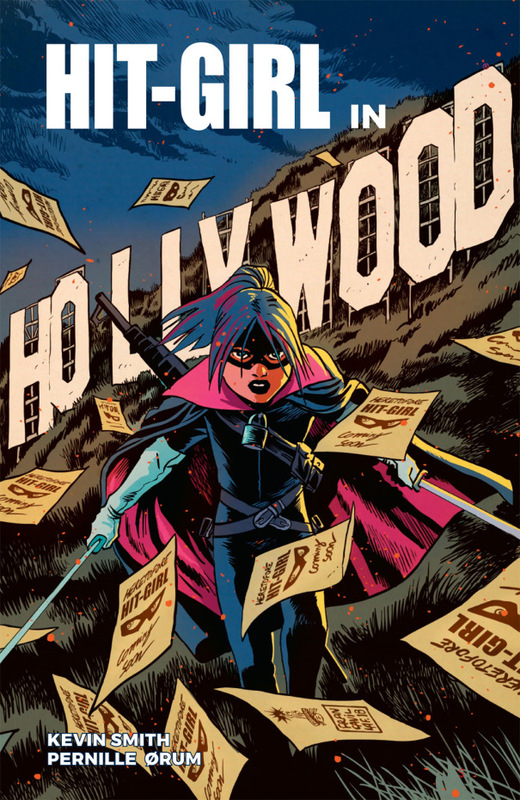 The aforementioned cover for Hit-Girl #13 was drawn by Francesco Francavilla and shows the titular assassin below the famed Hollywood sign with her swords drawn and drops of blood flying through the air. Hit-Girl: The Golden Rage of Hollywood is set to begin in January 2019 with Hit-Girl #13. If you need to tide yourself over until then, Hit-Girl #9 (Rome, part 1) by Rafael Albuquerque and Rafael Scavone hits comic book stores on Oct. 17. The post Millar Unveils Cover, Details for Hit-Girl: Golden Rage of Hollywood appeared first on CBR.